Get your free 4-6 page personalized personality assessment based on your handwriting, right now. 1. Find a handwritten cursive sample of handwriting of yourself or a friend. A signature only is not enough writing to be accurate, you need at least one full paragraph will all letters demonstrated at least once. If you do not have a handwriting sample, simply copy this sentence to use as your sample. The more writing you have, the better the results. 2. Tell Us where to email your 4-6 page PDF file "Personality Report" upon completion. We do require you choose a password so we can archive your reports for access. And, if you don't mind, tell us your age and which country you live in. 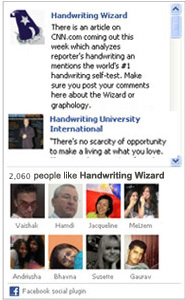 to sharing handwriting analysis. Your data is 100% secure. Feel safe entering your email. One click unsubscribe is available anytime. We respect our clients worldwide.